A registered dietitian with 26 years paediatric experience who has devoted the last 16 years to educating health visiting team staff, GP's and paediatricians on the management of common nutritional problems in infants, with particular emphasis on early recognition and diagnosis of food allergy. She set up a private food allergy dietetic service; FANS (Food Allergy Nottingham Service Ltd) to ensure that all families of children with food allergy can receive expert nutritional advice and support, to ensure adequate nutrition for growth and development from alternative foods, avoidance of eating behavioural issues and structured food re-introduction plans. She now plans to achieve her mission of early recognition and diagnosis of food allergy by validating through research a pictorial online allergy focused clinical history tool for use by the public. Produced documents for Nottinghamshire Area Prescribing Committee: ‘Guidance on the diagnosis and management of cow’s milk allergy' and 'Guidance on the diagnosis and management of lactose intolerance and prescription of low lactose infant formula'. Also a patient information leaflet to support the lactose intolerance guidance. Published an article on the Management of Infantile colic (2013) referenced by NICE CKS on colic. 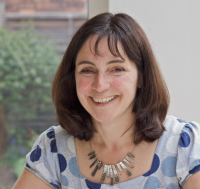 Member of the NICE food allergy guidelines group (2010) and a NICE expert advisor (2017-2020), member of the RCPCH food allergy care pathway working group (2010), member of the iMAP cow's milk allergy in primary care guidelines development team (2017-), member of the Allergy UK Health Advisory Board (2015-) and awarded the Education for Health Allergy degree module in 2011. Nottingham VTS GP trainee scheme - child health improvement - nutrition workshop. "Brilliant,brilliant,brilliant!!! Dr Waddell has a wealth of knowledge and experience in the dietary and food allergy world! It makes such a refreshing change for a professional to take the time to listen, believe and understand your concerns and answer them in a manner that everyday people can understand. The information we received today helps piece things together and symptoms that we never realised are all linked to my sons ongoing suffering. I cannot recommend Dr Waddell enough, I feel I have a huge weight lifted from my shoulders which has been weighing out family down for two years!!! THANK YOU, THANK YOU, THANK YOU "